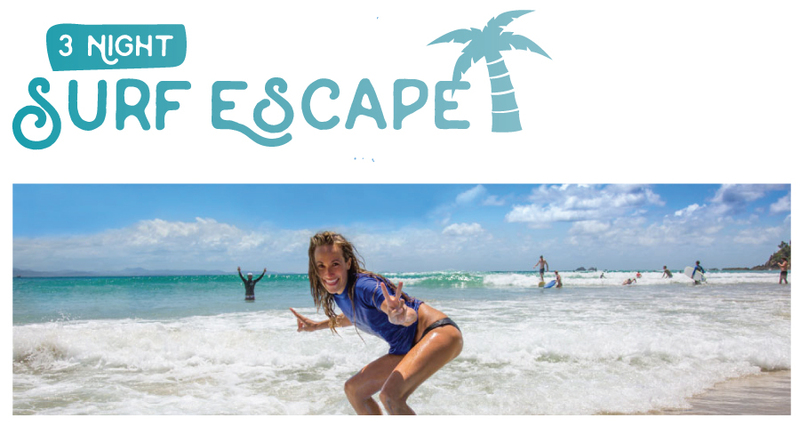 3 Night Surf and Stay "The Surf Escape Package"
If you have never surfed before, or you are looking for a refresher course, the 3 night Escape Package is the perfect short break for you. The beauty of this package is we get three sessions to show you a range of different techniques and you have plenty of water time to practice and make marked improvement by the end of the course. We will teach you all of the necessary techniques so that you can continue your surfing journey on your own at the end of the course and have the knowledge to surf safely.